Located off Lipscomb Drive, Brentwood Meadows Subdivision is a single-family home development in Brentwood TN (Williamson County). Popular streets in Brentwood Meadows Subdivision include Bretnwood Meadows Circle, Lipscomb Drive and Thalman Drive. Other popular Brentwood Subdivisions near Brentwood Meadows Subdivision include Barrington Place Subdivision, Brentwood Chase Subdivision, Brownstone Subdivision, Copperfield Subdivision, Fredericksburg Subdivision, Granbery Subdivision, Hearthstone Subdivision, Lochhaven Subdivision, Sterling Oaks Subdivision, and Williamsburg at Brentwood Subdivision. View our selection of available properties in the Brentwood Meadows Subdivision area. 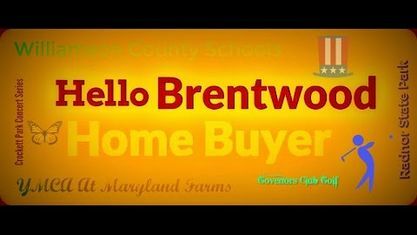 Get to know Brentwood Meadows Subdivision better with our featured images and videos.